Herbert Bonner Bridge | Capt Tony's "Walkingangler.com"
There are two catwalks on the southern end of the Bonner Bridge that spans the Oregon Inlet channel. 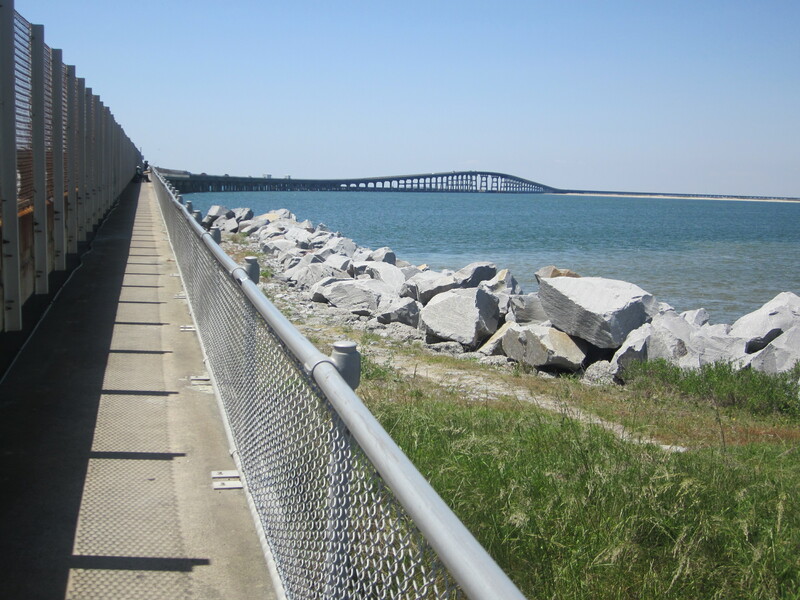 The catwalks are a dedicated fishing walkway that is separated from the roadway – which makes it a safe fishing area. There is plenty of parking on the south side of the Bonner Bridge – just east of the NC 12. 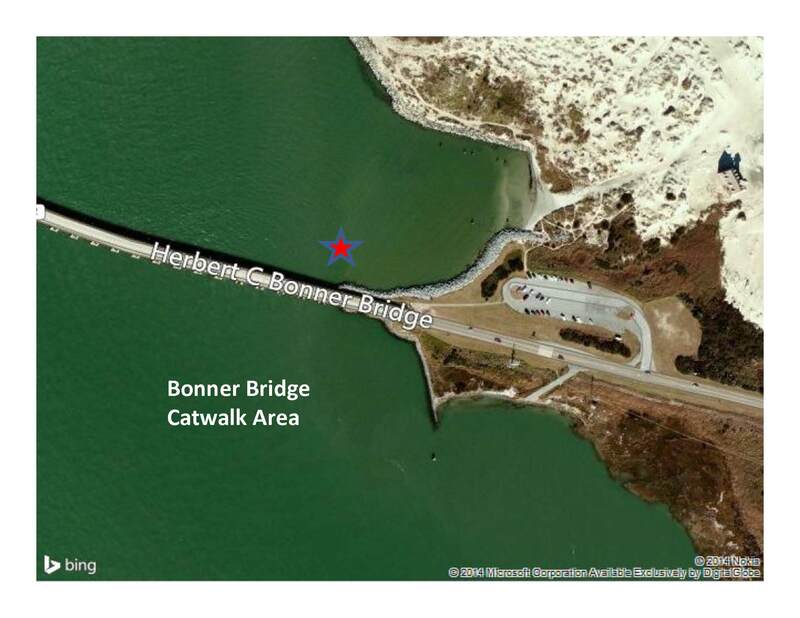 Take extreme caution when accesses the west side of the bridge catwalk even though there is a crosswalk area. Vehicles can come into view from over the crest of the bridge quickly. Look both ways then look north before crossing. The west catwalk is NOT a good location to take children.